[New Technology-Wireless&Solar Energy]: With 5V/1.2W solar panel and without wire to charge the mobile device. [Fahionable Appearance]: Cowin wireless solar charger with fashionalbe and simple appearnce. [Super Compatible]: Supports Wireless Charging at up to 1A for Ipone, Sumsung phone, Ipad, and other mobile device. 4. [Super Cool Accessories] :2 in 1 ( Micro USB + cable No need to carry many cables when you are in a car, office or at travelling After U charging finished you can pack into the Black flannel Pocket. If you have any questions about this product by COWINSZ, contact us by completing and submitting the form below. If you are looking for a specif part number, please include it with your message. 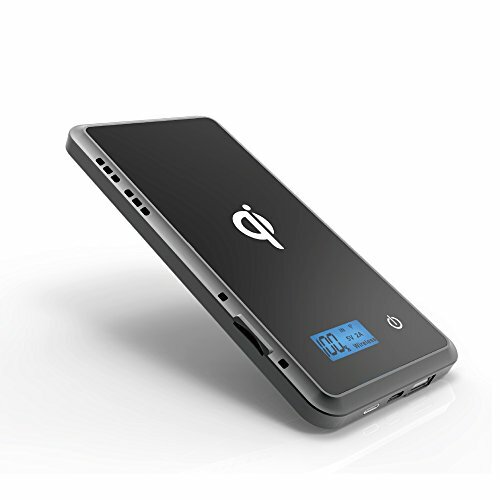 DIDIA Smart Solar Compass Power Bank 10,000 Mah 5V Input/Output. Powerful Dual Power Charger with high efficiency power conversion for iPhone, Android, iPad, and backup power for mobile devices.